Pastor Matthew Ashimolowo in one of his sermons told congregation to ignore freeze, describing him as a yoyo , drunk and woman beater. 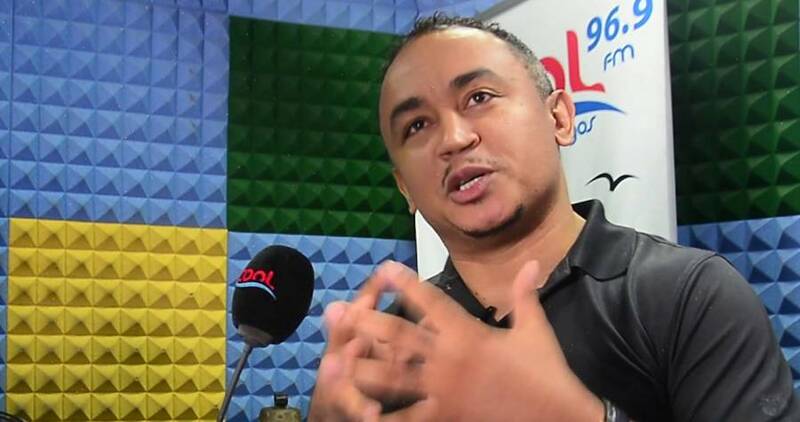 However, Freeze in his reaction said Pastor Ashimolowo is the ‘yoyo’ as Jesus drank alcohol and was called a drunk by pharisees. He wrote via his Instagram page, “Haaaaaa! Has it come to this? “See the way he is defending tithing with so much passion, I hope this same passion is extended to bringing home our brothers who are currently enslaved in Libya. “I didn’t hear ONE single bible verse, just sentiments and emotions in this defense. “Who is this ‘Yoyo’ now? Mention his name make we know am and I hope there is proof to back these allegations up and they are not just ‘hear say’ from a false interview conducted on an embattled pot of stale bitterleaf soup. “Whoever the ‘yoyo’ is, one thing is certain, he cannot determine what the body of Christ believes, only the BIBLE can do that, so until you can come out with a superior argument to explain where Jesus our high priest, or the disciples our first pastors collected tithes, it looks like the ‘yoyo’ is the one speaking the biblical truth and no amount of subbing or name calling can override the scriptures. “If the ‘yoyo’ drinks alcohol, lets remember Jesus drank alcohol too.. he was called a drunkard by the Pharisees.. the teachers of religious law who burdened the people with unbearable religious yokes and put up similar fights when Jesus drove the money changers out of the temple!